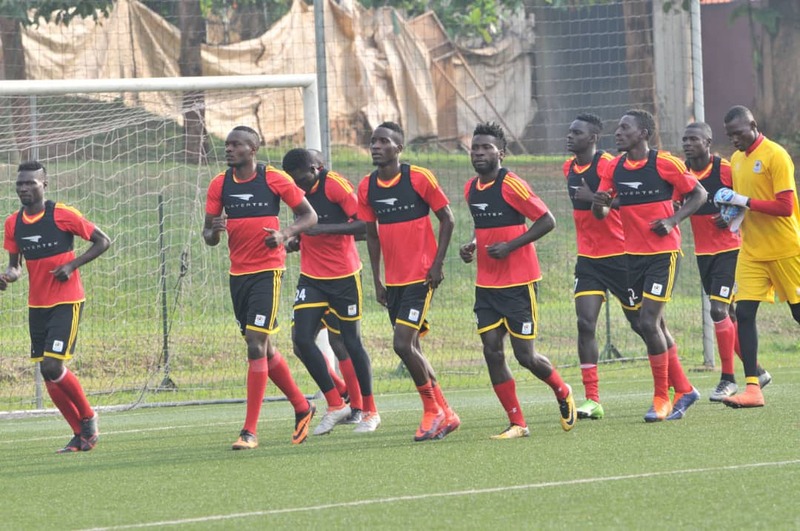 LUGOGO – With just over a week to their third Group L world cup qualifier, the Uganda Cranes have started preparations for the game. The summoned local based players undertook their first training seession at the StarTimes Stadium in Lugogo on Friday morning. These players will undergo another session on Saturday and then play a build up game against a select side on Sunday before the team is trimmed to 24. The training programme for the senior team also involve players from two junior teams U-20 and U-23. Uganda currently tops Group L with four points from two games while next Saturday’s opponents-Lesotho have two. The Local based players that were expected to take part in Friday’s session. Charles Lukwago (KCCA FC), Nicholas Sebwato (Onduparaka FC), Isaac Isinde (Kirinya Jinja SS), Timothy Awanyi (KCCA FC), Bashir Asiku (Vipers SC), Musitafah Kizza (KCCA FC), Musitafa Mujuzi (Proline FC), Bernard Muwanga (KCCA FC), Ibrahim Saddam Juma (KCCA FC), Tadeo Lwanga (Vipers SC), Ambrose Kirya (Sc Villa), Allan Okello (KCA FC), Julius Poloto (KCCA FC), Moses Waisswa (Vipers Sc), Allan Kyambadde (KCCA FC), Patrick Kaddu (KCCA FC) and Nelson Senkatuka (Bright Stars FC). –Sunday 7th October 2018: Uganda Cranes (Local based players) vs Select Squad (U-17/U-20/U-23 players) at 10 am StarTimes Stadium, Lugogo.